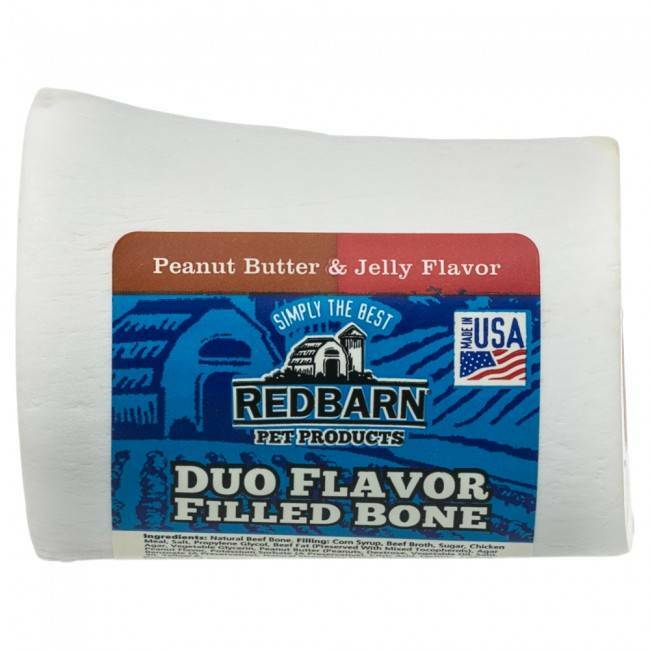 Redbarn’s Duo Filled Bones, a natural beef femur bone stuffed with a wide variety of delectable fillings, are a great way to reduce your dog’s level of stress and boredom. 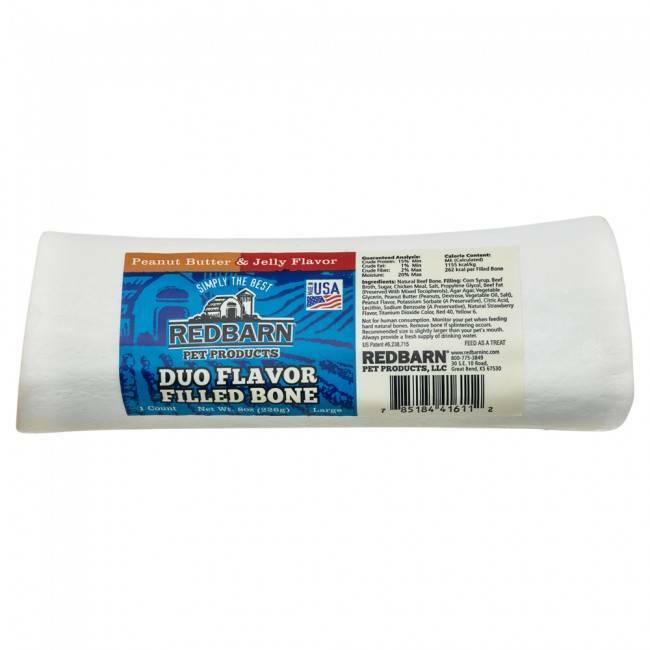 Redbarn’s Duo Filled Bones, a natural beef femur bone stuffed with a wide variety of delectable fillings, are a great way to reduce your dog’s level of stress and boredom. Redbarn’s Filled Bones work to help maintain your dog’s dental health by gently scraping harmful plaque. Try our large Peanut Butter & Jelly flavor today!